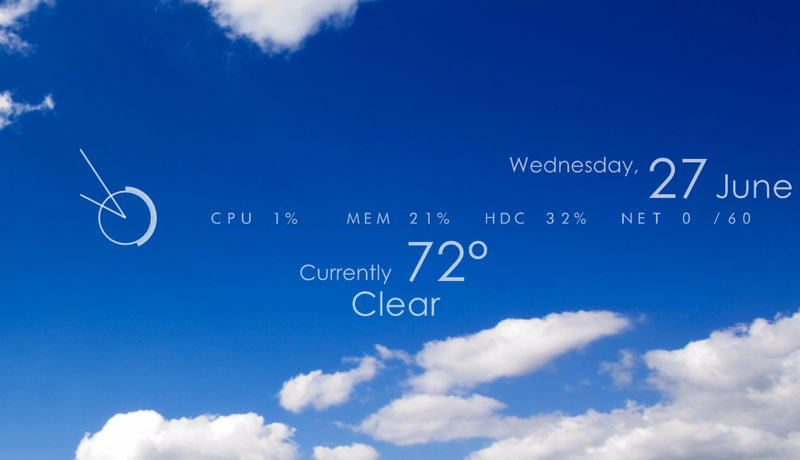 Simple, clean Rainmeter skins, for someone who does not need to monitor their overclocked 6-core processor, but does want the time and date on their desktop. 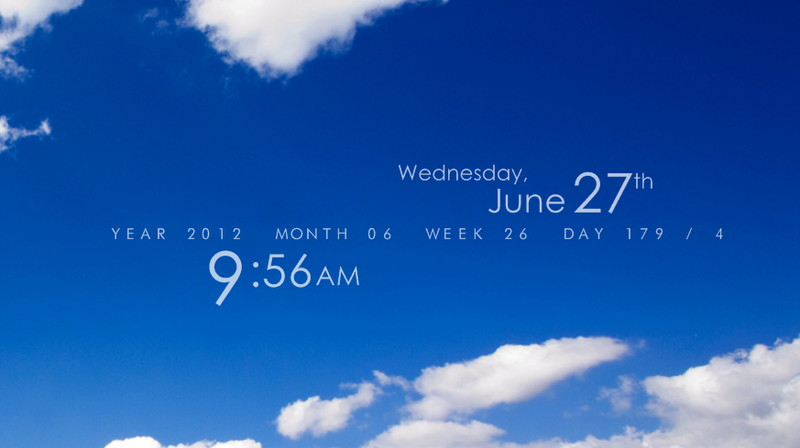 The Elementary skin set currently includes time, date, weather (current conditions and three-day forecast), basic system monitor, analog clock, and "chronophage" (ornamental/time tracking) skins. Clear and in the spirit of time. Very good! There are an actual version?